“July 2018 is the beginning of a new order and a new norm for the SDO, Pasay in the sense that we shall be embracing International Standardization of Organization (ISO). I know that this will be a very big challenge for all of us but any big challenge can be surpassed if we will be working together. 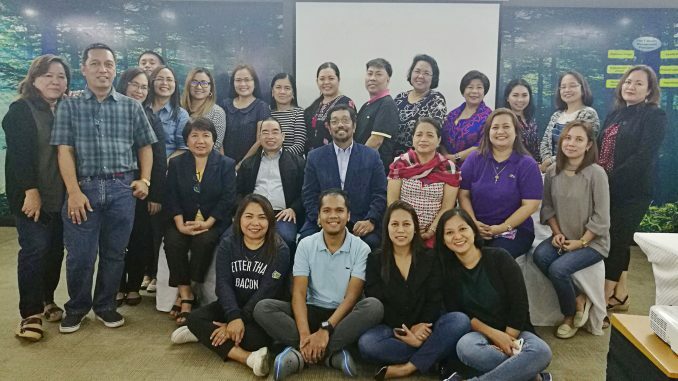 I am very sure that this ISO core group will work together to have a new life and new culture for SDO- Pasay” Dr Evangeline P. Ladines, Schools Division Superintendent pointed out in her message during the two-day ISO 9001:2015 Full Awareness Course held on July 30-31,2018 at One Tagaytay Place Hotel and Suites, Tagaytay City. In her opening remarks, Dr. Melody Cruz, OIC- Assistant Schools Division Superintendent emphasized the basis of the engagement which is pursuant to the Strategic Goal No.3, Modernization of Educational Management and Governance. The establishment of the Quality Management System is one of the major PPAs under the Division Education Development Plan(DEDP) of 2017-2022. The training was participated by the Schools Division Superintendent as the Top Management, OIC- Assistant Schools Division Superintendent as the designated Management Representative and the ISO core group composed of the Chief EPS of the Curriculum Implementation Division, Administrative Officer V, Education Program Supervisors, Public School District Supervisors, SDOP Unit Heads, SEPS, EPS II, IT Officer and a School Head. Mr. Paul Bagatsing, President and CEO of the AJA Registrars facilitated the training. The mind- blowing activities gave the participants huge challenges which turned into opportunities for them to have a full grasp of the process and embrace their role in pursuit to the ISO certification. In conclusion he stated, “If you don’t know where you’re going, any road will take you there”. With all the insights gained, participants have a clear direction towards the attainment of the SDO’s goal. DIVISION KINDERGARTEN FESTIVAL OF TALENTS, A TRIUMPH!